Does ShipMyVehicle.com offer door-to-door service? If I’m shipping a vehicle to Hawaii, Alaska, Puerto Rico, or elsewhere overseas, how do I get it to the port? For an additional charge, we can pick up the vehicle from a location that is more convenient to you. If you prefer to deliver it to the port from which it will sail, you may do so. Our staff will provide the name, address, and contact information for our office, or partner’s office at the port. Please note that we are unable to provide return transportation for you after you drop off the vehicle with us. Please make payment at the Port when you collect your vehicle, please note these are NOT Matson fees, they are Port storage fees. Q My vehicle is larger than typical vehicles. Will there be an additional charge for transporting it? A ShipMyVehicle.com can ship any vehicle, anywhere. 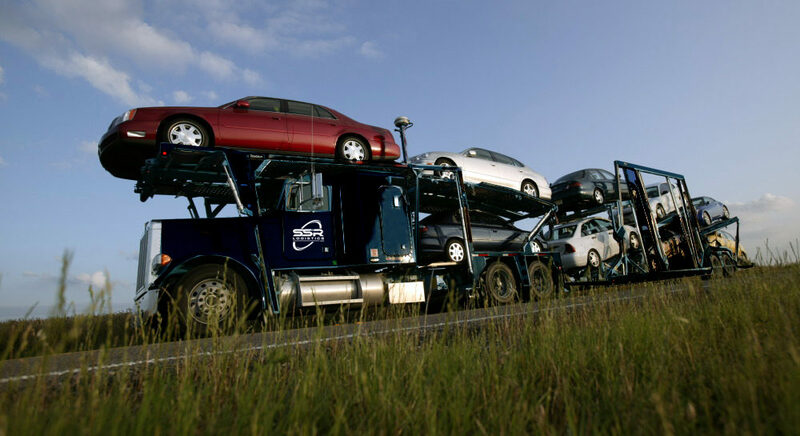 We pride ourselves on offering vehicle transport that is timely, safe, and cost-effective. We consider many factors in our custom price quote, only one of which is size and type of vehicle. Q Do I pay for auto transport before or after shipment? A We require payment on all vehicles before they are shipped. Q How far in advance should I schedule my vehicle shipment? A Regardless of the season, we recommend that you begin planning your vehicle shipment as soon as possible. That way we can ensure delivery within your exact timeframe. Q Do I need to do anything special to prepare my car for this move? A Yes. There are several easy steps necessary to prepare your car for transport and to expedite the mandatory pre- and post-vehicle shipping inspection. Q How long has ShipMyVehicle.com been in the business of transporting cars, trucks, and other vehicles? A Sea-Land Service was the predecessor of our parent company, Matson. They introduced ocean-borne containerization with a shipment aboard a converted World War II vessel in 1956. Q What documentation is needed in order to ship my vehicle? A Your vehicle’s original title and or a letter of release from the lien holder (I.E. Bank, Finance company) will be requested along with an export power of attorney (EPA), which will need to be notarized and photocopy of your driver’s license. Ship My Vehicle will provide you with the Export power of Attorney at the time of booking. Q Why is my title needed and how will I get it back? A United States Customs, a department of the United States Treasury, passed a regulation on May 7, 1999 stating that all vehicles being exported from the US must show their original titles prior to release from the US. Your title will be returned to Ship My Vehicle and sent back to you via certified courier service which is included in every booking. When placing your order for service, please make sure that your sales representative has accurate delivery information for your title return. Q Can I pack my vehicle with personal goods and possessions? A No. If you are shipping a vehicle overseas the vehicle must be received with no personal goods or effects in the compartment or trunk of the vehicle. Stock equipment such as tire jacks, spare tires and etc… will be accepted to sail with the vehicle. Q Are there additional charges when I receive my vehicle overseas? A Unloading charges and documentation fees are charged by the destination country and will be collected prior to the release of your vehicle. Each country’s charges are different and we request that you check with your global sales professional for the possible applicable fees for your shipment. Your global sales representative will outline your service type and advise you of the applicable destination fees. Q Can anybody pick my vehicle up if I’m unavailable? A No. For documentation purposes and security reasons, you will be asked at booking who the consignee is. This information is put onto all shipping documents and only the individual or agent named is authorized to receive the vehicle from the seaport. If you know that you are going to be unavailable please contact your global sales representative to make the change and update your records. In addition, the ship line may charge additional documentation fees that will passed onto you. Please check with your representative to see if you’re booking will be affected. Q Is my vehicle insured? A In order to insure your vehicle marine insurance must be purchased. Marine insurance is designed to cover goods and vehicles as well as other commodities while they sail on the ocean. Please check with your normal insurance carrier to see if the vehicle will be covered while it sails to avoid unnecessary charges prior to making your booking. Q Do you provide marine insurance and how much does it cost? A – Ship My Vehicle provides a comprehensive marine policy that will cover the vehicle bumper to bumper. The radio equipment and the interior compartment are covered under this policy as well. Please contact your Ship My Vehicle Sales professional for further details. Q How soon should I book my move? A Because of the nature of your shipment and requirements to clear United States and foreign customs we request that you provide Ship My Vehicle at least 72 hours advance notice. We can go with a little as 24 hours notice but we believe that an advance booking gives our clients and our company the time to be thorough and go over details that will need to be addressed. Q How long will my shipment take? A Depending on your destination an estimated time of arrival (ETA) will be given to you at the time of booking. Please note that international shipments are subject to change and time frames are not guaranteed. Ship My Vehicle places a high priority on accurate and on time delivery. When placing your order please ensure that you understand the transit and clearance time frames that will determine your overall ETA. Q How do I pay for my move? A Payment can be made VIA a secured link sent to your email VIA PayPal with a Visa, Mastercard, American Express, PayPal or direct deposit as well as a check or money order mailed in. Please note that your vehicle can not sail until the payment has been made. If paying by a personal check the vehicle will be placed on hold until the funds have cleared.